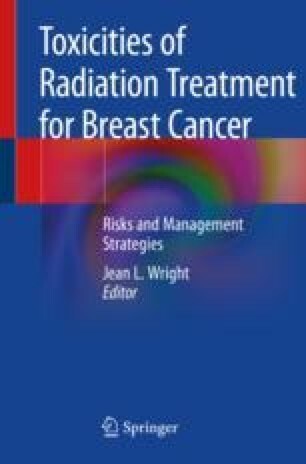 In patients with breast cancer undergoing mastectomy, reconstruction, and postmastectomy radiation therapy, reconstruction outcome is impacted by multiple factors related to patient comorbidities, surgical technique, and radiation planning. In this chapter, each of these factors is discussed in light of the available data and potential for reconstruction failure. Women’s Health and Cancer Rights Act (WHCRA) In: www.cms.gov. https://www.cms.gov/CCIIO/Programs-and-Initiatives/Other-Insurance-Protections/whcra_factsheet.html. Accessed 17 Mar 2018. Pragmatic randomized trial of proton vs. photon therapy for patients with non-metastatic breast cancer: a Radiotherapy Comparative Effectiveness (RADCOMP) consortium trial – full text view – ClinicalTrials.gov. Hypofractionated radiation therapy after mastectomy in preventing recurrence in patients with stage IIa-IIIa breast cancer – full text view – ClinicalTrials.gov. Study of radiation Fractionation on Patient Outcomes After Breast REConstruction (FABREC) for invasive breast carcinoma – tabular view – ClinicalTrials.gov. clinicaltrials.gov.